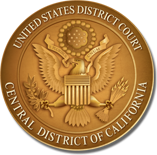 This section includes common civil and criminal filing procedures for the Central District of California. These procedures may differ from court procedures in other districts; therefore, all litigants are encouraged to review the information provided by this section before proceeding in the Central District. In addition, you should also consult the Court’s Local Rules and General Orders. Pursuant to Local Rule 5-4.1 and Local Criminal Rule 49-1.1, electronic filing is mandatory in all civil and criminal cases in the Central District of California. All documents must be filed electronically unless exempted by Local Rule 5-4.2 or Local Criminal Rule 49-1.2. For information about electronic filing procedures, please visit the e-filing section. Please note that, while documents may be filed electronically 24 hours a day, electronically filed documents will usually not receive immediate attention. Litigants filing documents in civil cases that require immediate attention should review the Court's Emergency Filing Procedures.